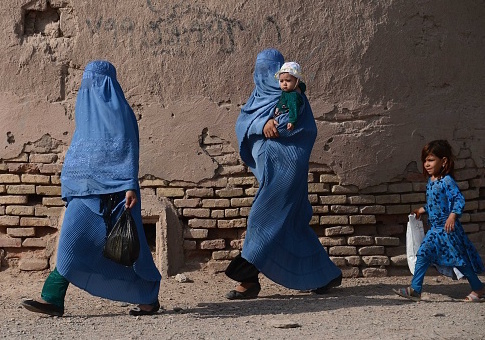 "An end-of-program performance indicator target for one component is for 2,100 women to find new or better employment with the Afghan government," the inspector general said. "As of September 2017, USAID said 55 women did." USAID said the Promote program is part of building a "brighter future for Afghanistan" by elevating women in society. "In the Transformation Decade (2015-2024), a new generation of Afghan leaders—both men and women—will emerge who are equipped with the education, skills, and desire to build a brighter future for Afghanistan," USAID said. "Promote is a joint commitment by the U.S. and Afghan Governments that will work to empower 75,000 women between the ages of 18-30 and help ensure these women are included among a new generation of Afghan political, business, and civil society leaders." "Promote aims to empower women to become leaders alongside their male counterparts, and ensure they have the skills, experience, knowledge, and networks to succeed," the government added. "USAID has committed $216 million to fund the program, making it the largest women's empowerment project in the U.S. Government's history. Other international donors are able to contribute an additional $200 million to help expand the program." "As of January 2018, no international donors had contributed funding to Promote," the inspector general said. "Officials from five of the seven donor countries SIGAR spoke to said they cannot financially contribute to the Promote program or that USAID's assumption that foreign donors would contribute $200 million for the program was an unrealistic goal." "USAID/Afghanistan told SIGAR it does not expect the Afghan government to sustain Promote," the inspector general said. "This raises questions about whether Promote is sustainable at all and could put USAID's investment in the program in jeopardy." "Given that the program has expended $89.7 of its potential $216 million, USAID has an opportunity to reassess and adjust the program and take steps to enhance its sustainability now, rather than waiting until the program is over in 2020 or 2021," the inspector general said. This entry was posted in Issues and tagged Afghanistan, Government Spending, USAID. Bookmark the permalink.